Publisher Synopsis: Set in Mississippi at the height of the Depression, this is the story of one family’s struggle to maintain their integrity, pride, and independence in the face of racism and social injustice. And it is also Cassie’s story—Cassie Logan, an independent girl who discovers over the course of an important year why having land of their own is so crucial to the Logan family, even as she learns to draw strength from her own sense of dignity and self-respect. My daughter is now 10 years old, which means that I’m in this weird space of book-buying where titles either seem too young for her or we veer into books where the language is a little too strong for my liking. 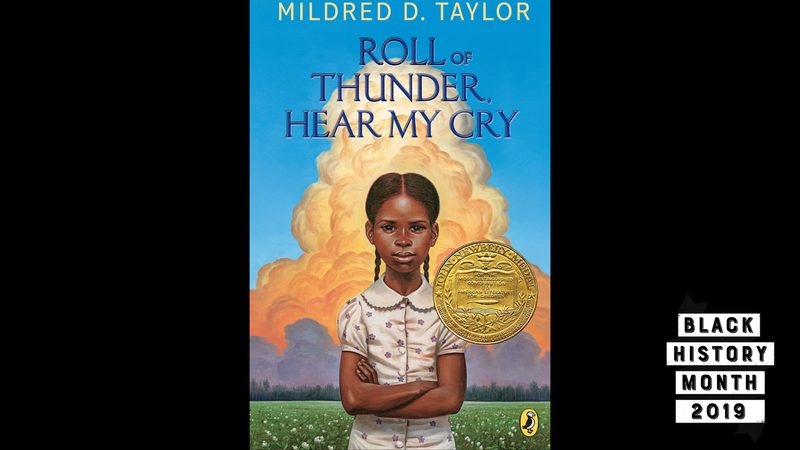 On a recent trip to a bookstore I asked one of the store employee’s for some recommendations and she mentioned a few books and as we walked towards the youth section, I saw Roll of Thunder, Hear My Cry (ROTHMC) on a display and had the most sincere “well, duh” moment of all time. I couldn’t believe it hadn’t dawned on me as a book for my daughter especially since I remember reading it so, so many years ago as a kid. Because it’s been so long ago since I read it, I remember the idea of the book more than the book itself. But what I remember most, and with some adult perspective is the idea of it being a Southern book, and being rooted in Mississippi being essential to the story. And racism. I remember racism. And church. I remember Cassie Logan and the story about the land. I remember it being a story of the South that could be every and any story of the South. When I (actively) think about children’s books for black kids, ROTHMC is one that comes up more than any. Obviously over the course of my book-reading life I’ve come across a litany of books by many authors, others which will be highlighted in this series, but ROTHMC allows me to share a bit of my own childhood reading with my kids. Mildred Taylor is probably the reason a lot of writers decided to tell our stories as they do. And no doubt it’s because of her many books, Roll of Thunder, Hear My Cry stands tall among them.